Every city mirrors the state of its inhabitants. 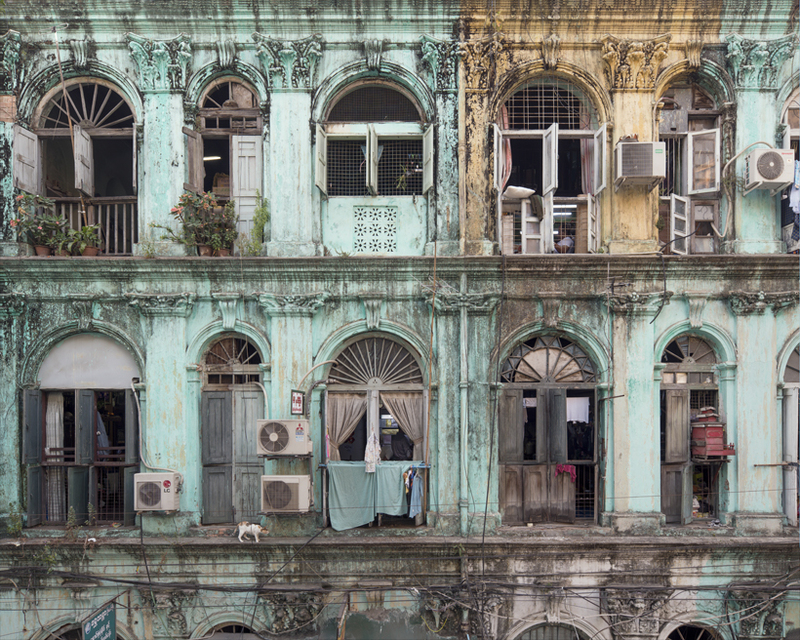 A sort of vital melancholy is radiated by the city of Yangon, drawing visitors under its enchanting spell. 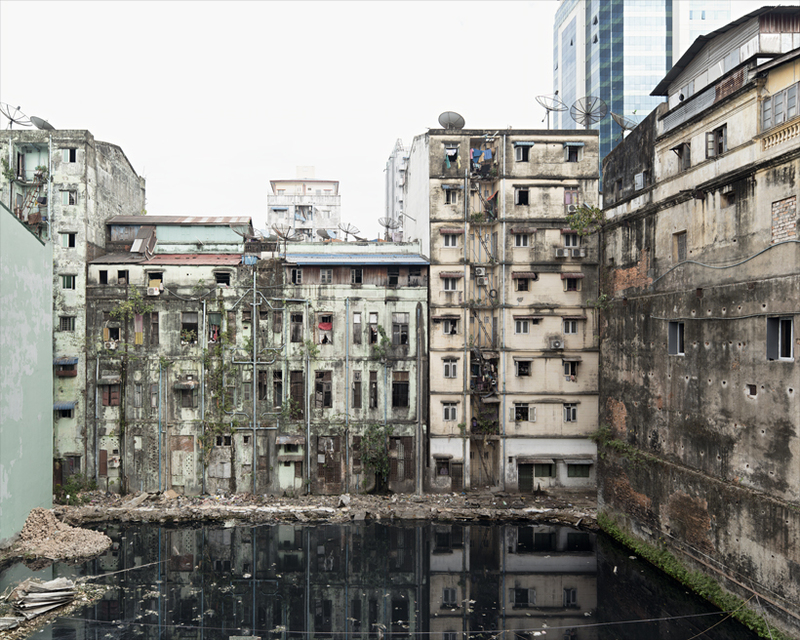 What remains of the once thriving colonial metropolis after the bombs of World War II, the ideological imperatives of “Burmese socialism” and now the wrecking balls of the investors is a unique urban structure, jagged scars and gaping voids among the remains of former greatness. The present inhabitants, few of whom have anything in common with the former population, have settled into this crumbling ensemble, with memories of ancient splendor and hopes of a better tomorrow. The city seems to float between the two in these years of political and economic opening in Myanmar, between remains and possibilities, between perseverance and renewal. In which direction the good intentions of the urban planners and the interests of big money will drive the development, no one can say. This series tries to capture this strange state of suspension. 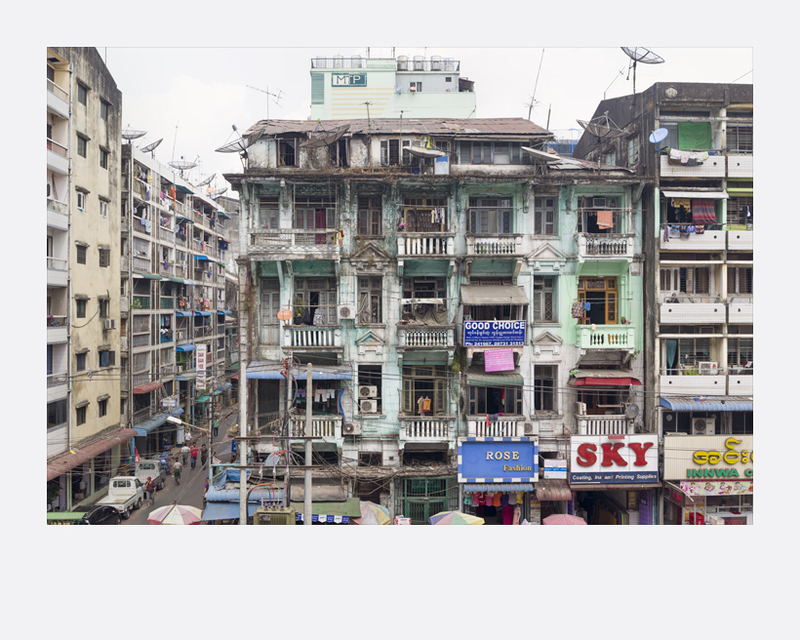 It aims to highlight the significant detail that stands for the larger picture of downtown Yangon, creating in a few images an extensive inventory that avoids the all too frequent aestheticisation of decay. Wolfgang Bellwinkel (b. 1959, Germany) lives in Berlin and Bangkok. After completing his studies at Folkwang School of Art in Essen/Germany in the mid 90’ he began to work as a photographer for magazines and companies. Besides his commercial work, he has engaged in various projects in Germany and Europe. 1994, he published the book Bosnia dealing with the war in former Yugoslavia. Now, for about 15 years his main focus is Asia. In 2005, Bellwinkel finished his documentary film weg that had its premiere at the Bangkok Film Festival. In 2013, he published his recent book No Land called Home. As a lecturer, Bellwinkel worked at universities in Germany, Singapore (Ngee Ann Polytechnic) and Thailand (Chula), and assigned by the Goethe Institut he teaches workshops all over Asia. In 2011 the exhibition Foreign Familiar, curated by Wolfgang Bellwinkel and organised by the Goethe Institut, was opened at the Bangkok Art and Cultural Center and later travelled to various destinations in S.E. Asia. 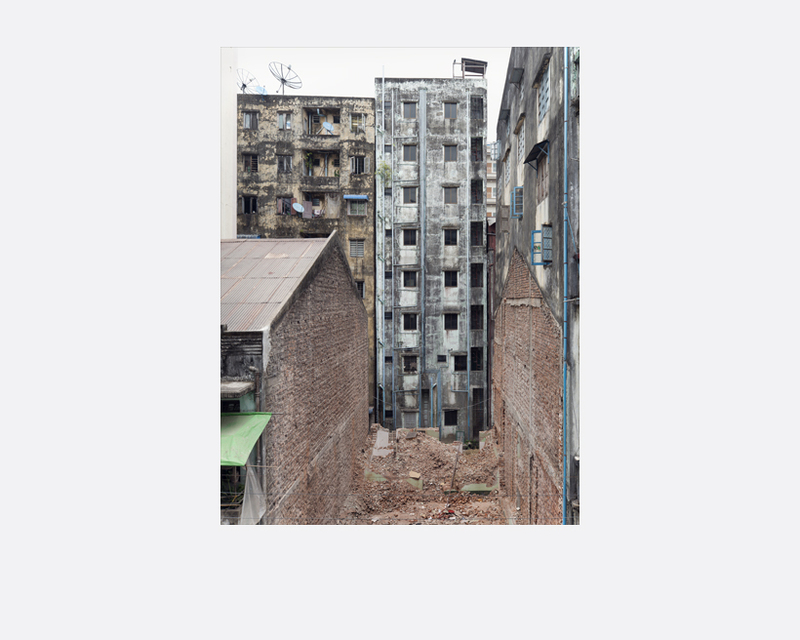 Bellwinkel’s work has been shown in many solo and group exhibitions amongst others at the Pinakothek der Moderne/Munich, Berlinische Galerie/Berlin, Museum voor Fotografie/Antwerpen, Daelim Art Museum/Seoul, Bangkok Art and Cultural Center/Bangkok.